Are you planning on taking guitar lessons soon? When you are just starting to learn how to play the guitar, you must both be very excited and filled with high hopes. You most certainly want to start right away. However, you must bear in mind that it is important to learn several things not only about the music and the guitar that you are going to play but also the accessories that you will need for the musical instrument. You will learn how to play much more comfortable and more comfortable when you know about the guitar accessories and how to use them. It does not matter whether you are using an acoustic guitar or an electric guitar. It is essential to find out what guitar accessories must go along with your guitar. Below is a list of the accessories that you will usually need for your guitar. Who says you do not need picks while playing the guitar? You have to keep in mind that guitar picks are quite essential for playing. They differ in materials, thickness, sizes, and shapes. That only shows that you can quickly pick out the ones that you are precisely looking. You will need to buy several picks since they will protect your fingers, especially your fingernails, from getting hurt while playing the guitar. 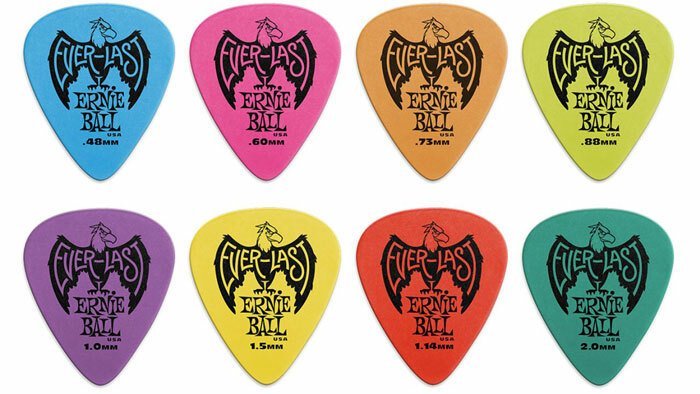 For starters, very thin guitar picks are highly recommended, so be sure to look for the thinnest picks available. With the use of thin guitar picks, you will be able to learn how to strum the guitar so well. Thin picks also work great for playing arpeggios. Moreover, it is a good idea to at least buy a few medium thick guitars picks as they are excellent for playing individual notes such as when you practice playing scales. Many people think that having a new guitar with a new set of strings is enough to get started, but you must not feel that way. It is always wise to get prepared, so make sure that you get some perfect spare strings. Get at least two sets. You can check out some YouTube videos to learn how to change guitar strings. You can opt for 010 gauge strings when you are using an acoustic guitar. You can select the 009 gauge strings when you are using an electric guitar. Although they could hurt your precious fingers, thicker strings produce a fuller sound. On the other hand, although they can easily break, thinner strings produce a brighter sound. If you want to have durable strings that you can use for a longer time, it is best to buy coated strings that last longer and prevent corrosion from occurring too soon. They can be expensive though, but they are worth the money that you spend. Take note however that steel strings are not advisable for classical guitars, so never buy steel strings if you are using one as they can cause damage to your guitar and can injure you when your guitar breaks. It is indeed great to play your guitar in perfect pitch. That is why getting a high-quality tuner is a must. It can be quite embarrassing to play an incorrect tune. 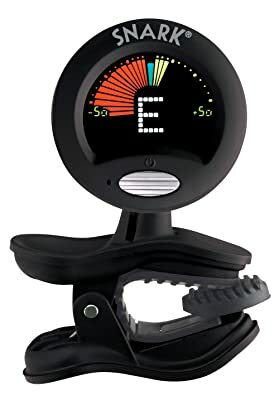 The best way that you can do is to get an excellent-quality clip-on tuner that can tune your guitar accurately. 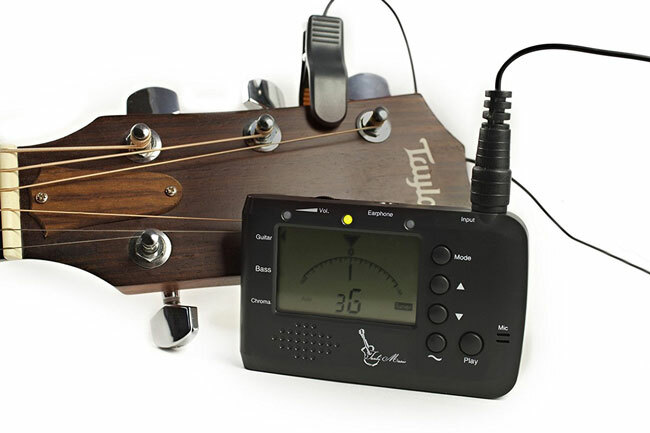 It is perfect for acoustic, bass and electric guitars. If you want to be able to play well, you need to practice dancing at a slow tempo; then you can gradually speed up the pace. That is why you need to use a metronome since it helps you check your rhythm while playing. This is a great device to use when practicing as it can help you play slower or faster in an accurate way. An electric metronome is primarily the best choice. It is wise to buy a well-made metronome that works accurately and can be used quite quickly. For guitars without locking tuners, a strong-quality string winder is required. More often than not, beginner guitars do not have locking tuners so that you can use the string winder for such guitars. It speeds up the restringing of the guitar. Be sure to get the type of string winder that has a sting cutter feature so that it can also trim off excess strings. It can help you learn how to play the guitar when your notes are all kept in one place in an organized manner. The best organizer to buy is a durable ring binder. You can also choose a long-lasting display folder. It will keep you more motivated to learn faster when you have all your notes kept in a tidy wrapper or binder. Ring binders are quite affordable, so be sure to get one for starters. A device that is visible on the neck of the guitar, a capo is used for changing the key of any song that you want to play or sing. If there is a particular song that you find hard to play, using a capo can help. Make sure you get a reliable and well-made capo that you can employ quite easily. For classical guitars, a flat capo is the most appropriate to use. To prevent having any back problems later, use a good-quality music stand. It is often true for most beginner students to sit on their sofa or bed while practicing. What’s worse, they place their sheet music on their bed. Therefore, they bend their neck most of the time while strumming their guitar and glancing at the sheet music that is placed next to them. This action can undoubtedly strain their back and neck. Your learning and practice time must be comfortable, so try to buy even just a simple music stand for your beginner lessons. 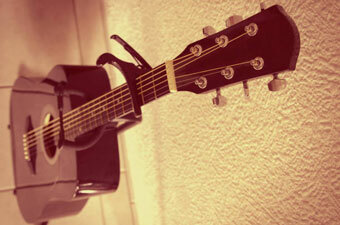 Your guitar is a precious belonging to you, so it deserves to be kept safe and secure as well. That is why you must find a perfect spot where you can keep it well. With the use of a guitar stand, you can rest assured that your guitar is parked in a secure place when you are not using it. You may also use a durable wall hanger. You can never underestimate the importance of using a belt when playing the guitar. It helps you hold your guitar more comfortably. Try to pick out a full strap since it can give you more comfort. You can easily find a belt that will suit your taste and budget. You will most likely feel happy when you choose one that feels comfortable to use. Moreover, when your guitar seems a bit heavy, try to buy a well-padded strap since it is soft on your shoulder. If you use an acoustic guitar, you may opt for using a cable or not at all. However, if you use an electric guitar, there is no doubt that you will need a good cable. You should not rely on using a cable that is included in a guitar kit as it will only last for a short time and its quality cannot be trusted. It is wise to get a cable with a good brand name that is highly recommended by many people. It has a low price, but you can rely on its quality and durability as it can sound better and last for a long time, unlike the cheap ones. Using a strap is not enough. You also have to make sure that you lock it with the use of strap locks. Strap locks are necessary to keep your guitar in place while you are playing it and prevent it from dropping to the ground. The metal catches can be quite durable, but they can be costly. However, you can select the plastic discs if you prefer a cheap alternative, which can also work. Whether you are having a jam session with friends or seeing your guitar teacher for your next lesson, you need a gig bag so that you can store your guitar safely as you take it along with you. It is good to buy a well-padded gig bag with a few pockets where you can keep the spare strings, cables, and other accessories. Try to choose an appropriate gig bag that will accommodate the type of guitar that you are using. You can select any design you prefer as long as the gig bag is durable for your guitar. For instance, especially try to make sure to choose a gig bag that is made of durable materials and one that has sturdy straps if your guitar is heavy. It can be quite impressive to record your playing while practicing or performing in front of an audience. You will be able to know whether your playing is improving or not at all when you record your practice or performance. That is why you must get a recorder. A small, one will suffice.